I am way lazy. We’ve already established that. Basically, this is just to say there’s some Summer Stuff on the horizon which I’m really looking forward to! And it may impact the whens, whethers, what’s and whatevers of blogging. You’d think since in blog years, Cranky Fitness is 78,000 years old, that I would have made it to some sort of blogging conference by now? But I never have. And Fitbloggin'14 looks like it’s going to be a blast. It’s coming up, yikes, in less than a week! I am crap at covering things while I attend them—again, my middle aged brain is to blame, and I can’t multi-task to save my life. So rather than attempt any "liveblogging" while I’m there, I would frankly rather Learn Stuff, Party, Play, and Attempt to Socialize with People I Should Probably Talk to. And of course Scrounge up any Free Samples and Swag I can get my Greedy Hands on! So I will most likely be deadblogging this. Though who knows? I may post a blurry picture or tweet something nonsensical. Unfortunately, given my lack of social and networking skills, I pretty much don’t know anyone there so I may have to psych myself up to ditch the whole shy weird introvert thing and pretend to be a normal person. Any Cranky Fitness readers who are also bloggers going to this thing? Anyone? Also, for me to get in and out of Provincetown, a flight in a tiny weenie aircraft will be required, and this is during what I think of as Thunderstorm Season. For an airplane-avoidant person like myself, this is not an appealing prospect and I’ve avoided it for years by taking the ferry, but alas, the ferry timing didn’t work out. So in a lot of ways this trip will be a stretch, but a good kind of stretch. Is there anything left in New York that I haven't blathered on about or aimed a shaky camera phone at? We shall see, in early August. 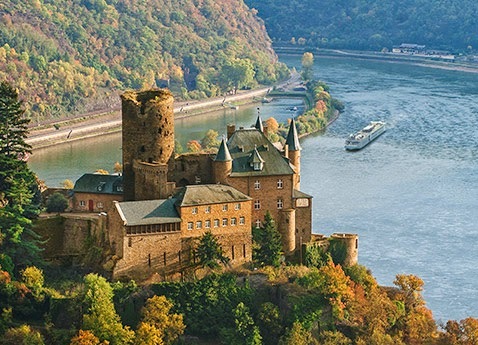 Holy Crap, It's A Grand European River Cruise! So when we spotted an Amsterdam to Budapest cruise on sale, (half off, plus a massive airline discount, which it turns out they do all the time but we didn't know that), we jumped on it, and booked it for the end of August. This was before the whole free corporate boondogle South Africa trip was on the horizon, and we were looking for a compromise between Adventurey and Spoiled Rotten. 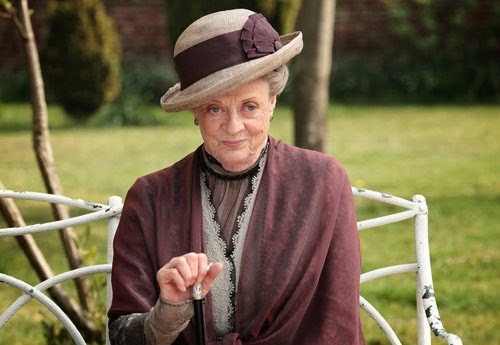 We were so helplessly hypnotized we thought the Dowager Countess of Grantham herself was urging us to go. And, in a bold move, after the official cruise ends and my hard-working wife has to get back to her Real Job, I’m going to stay on an extra week in Budapest all by myself! Because hey, I discovered that using AirBnB, you can get an incredibly cheap studio apartment for a week. And I'll already be there because that's where the cruise ends so what the heck? But since the Lobster is the savvy traveler in the family, and I usually let her do all the navigating and negotiating as I trail sheep-like behind her bumping into people and dropping things, this will be another Major Stretch for me. I’m hoping to have some interesting tales and photos--IF I can manage to get myself onto the flight home by myself. If not, stay tuned for Cranky Fitness goes Hungarian! Anyway, that’s some of the stuff coming up. Are you guys looking forward to any adventures this summer? Ever been brainwashed by travel ads? Hey! Aren't we supposed to get a post about releasing soon! I have been catching and holding for days now! Hee Hee! I made a funny! "I trail sheep-like behind her bumping into people and dropping things". Reminds me of the time I took my friend for his first trip on public transit. He had a bag and an umbrella and if left no person uninjured as he made his way to the back of the bus! 1 - Why must we all be dominated by this evil, sucky TV addiction Comcast empire? When does the counter-revolution start (and will coffee be served)? 2 - How do you do all this given the techno constraints? If I have even I minor blip, I kind of give up, take my ball and leave the playground! 3 - Ever been brainwashed?!.. I'm brainwashed by ANY and almost ALL ads. Except the ones I hate. And I'm not that picky. 4 - Would you please oh please slap something up - some kind of clue as to the story behind the picture of the person sporting the animal head? Maybe a game wherein we could all guess? Or caption? I will be at FitBloggin next week and am excited to meet you, since I've been lurking/reading you forever! Denise, yay!!! Will look forward to seeing you there! Trying out AirBnB for upcoming NYC vacation (end of August) - sooo can't wait. And yes, totally avocado green with envy about your river cruise! Happy trails. Crabby, that cruise sounds amazing. And a week in Budapest to do what you want when you want to so very grand. Lots of exciting adventures! I hardly know what to comment on first. Not going to Fitbloggin', but I will look forward to your "deadblogging." New York, a European cruise starting in the land of my forefamily (made up that word), a week alone in Budapest…I have only one thing to say…WHEEEEEEEEEEEEE! The Boss is headed out to Alberta for two weeks, so I will have an adventure-filled time home alone…who knows what I will get up too. I do have to work a bit, so probably nothing too exciting. In August we are going to a cottage that is deep in the woods and on a lovely lake, so that will be a fun time with a lot of BBQing. I have been brainwashed by a television show called Caribbean Life. I MUST go to Turks and Caicos soon. The flight is less than four hours and since I have been able to survive flying to Miami with a lot of Ativan, I think I can hang in for an extra hour…and if I hit the Lotto this weekend, I won't need a return flight! Looking forward to reading about and viewing all your upcoming adventures! I love Downton Abbey and the Viking cruise ads. I am so jealous of that river cruise! Enjoy your trips. And kudos on having the bravery to do so much stretching. That's a big deal! Wow - so many great things coming up!!! 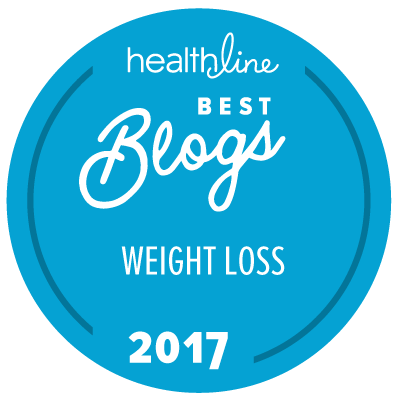 I wish that i was going to FitBloggin!!! That cruise will be so awesome and I love that you are going to spend an extra week exploring!!! Never been brainwashed into travel because we've never had the funds, although we were tempted a couple of times. As for travel, we've already had our yearly vacation, and it was great! Wow, you have lots of fun things going on this summer! I must admit I am a little jealous!!! I would love to be going to a blogging conference. I know that will happen eventually. I am really looking forward to hearing how it goes. Wishing you safe and happy adventures! Your summer adventures .sound great! We are hoping to do some bike touring in Europe next year, & it will be wonderful to see your pictures and read about all you get to see. Right now, I am completely focused on the Death Ride. In fact, in a couple of hours we head out for the final big training ride, 4 of the 5 passes. The big day is just 3 weeks away. Later this summer we are going to Alaska, and I can't wait to see whales & puffins & eagles. Yikes! It all sounds very fun! What? My summer plans? I sure would like to get some marigolds planted... Haha just kidding. Actually if we can ever close on selling the house in FL, we we do have plans for spiffing up this house, including a deck, retractable awning, sky light, and lots and lots of landscaping. Finally have internet again, thank goodness, and thanks everyone for the awesome comments, especialy considering it was kind of an obnoxious post! I was just feeling too excited about all the fun stuff on the agenda for the summer. Looking forward to hearing about all of your summer adventures, whether homey, or far-flung, or relaxing or productive or challenging, or fun or silly or whatever! Wishing your internet connection the best of health! Looking forward to bad phone photos of Europe. My summer plans revolve around using some of my days off to get started on the long list of things that needed to be done to this house after I moved in in August 2012. That sounds like SO much fun going on! I'm exhausted just reading about it and it hasn't even happened yet! Enjoy!